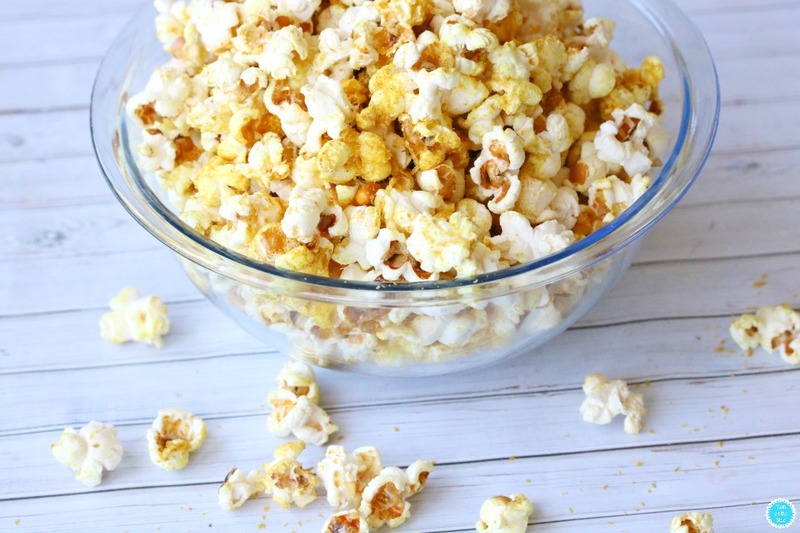 This Cheesy Popcorn with a Kick is going to be a favorite for family movie nights! 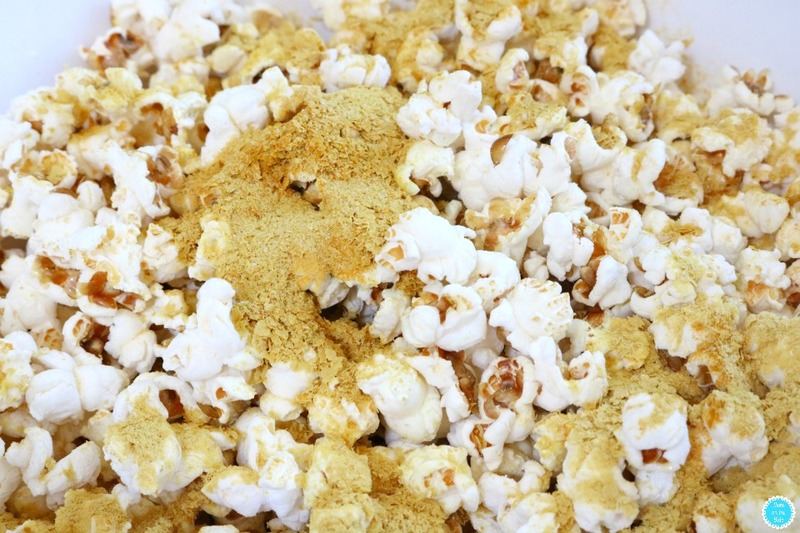 If you are looking for a fun way to season your popcorn, give this recipe a try. 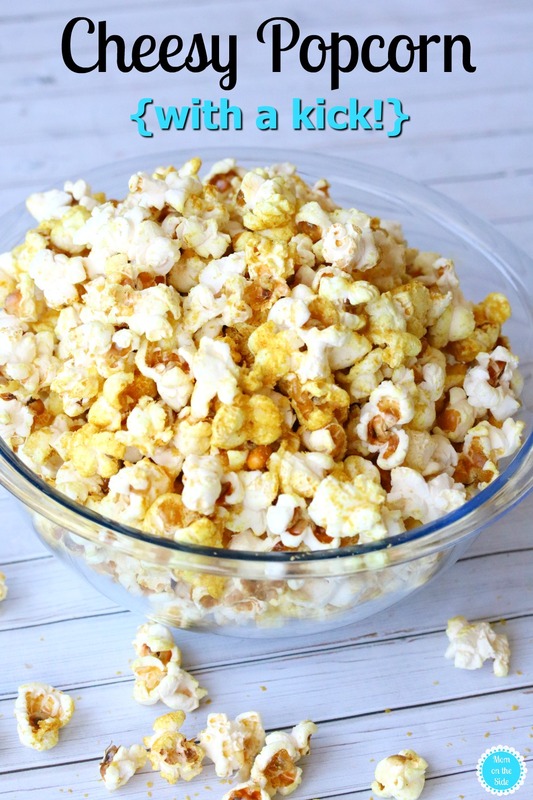 It can be made with both homemade popcorn or microwave popcorn. The best part, it doesn’t take long to make so you can get to munching and watching. Start with by heating coconut oil in a large wok over medium to high heat (about seven). Let heat fully. Once hot, add in kernels, toss briefly in the oil and cover with lid. Cook kernels until they begin to pop, about three minutes. After half the kernels have popped shake the pan slightly and resume popping. While the popping resumes, heat the remaining coconut oil until melted. Now combine the seasonings in a small bowl to be ready to toss. All kernels should be popped within ten minutes. Once the popping stops, turn off the pan and remove from heat immediately to prevent burning. Now, transfer popcorn into a large bowl and pour the coconut oil over the popcorn and toss to coat. Sprinkle half the seasoning over the popcorn and toss briefly. Finally, sprinkle the rest of the mixture and toss until fully combined. You will have 6 cups of deliciously cheesy popcorn with a kick. The recipe can be used for microwave popcorn as well. 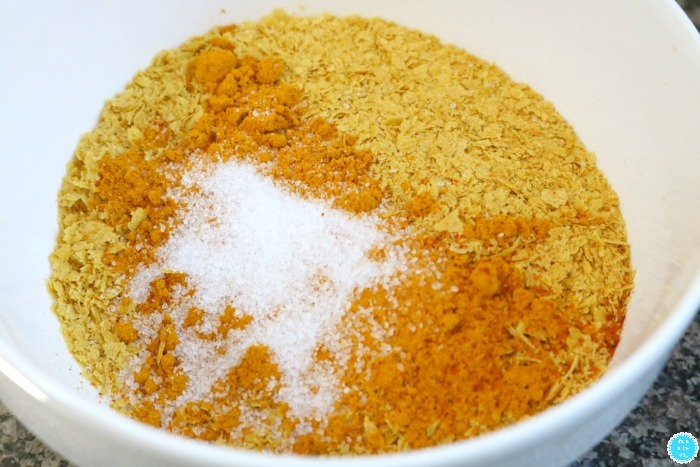 All you have to do is heat 2 tablespoons coconut oil and mix the seasonings together in a bowl. When the popcorn comes out of the microwave coat it with coconut oil and toss it in the seasoning. Pin this Cheesy Popcorn Recipe for your next movie night or party!